The 5-in-1 Multifunction Electric Facial Cleanser and Massager keeps your skin clean and fresh. With the included attachments, you can remove calluses, massage your skin, remove makeup, clean deep into your pores and so much more. 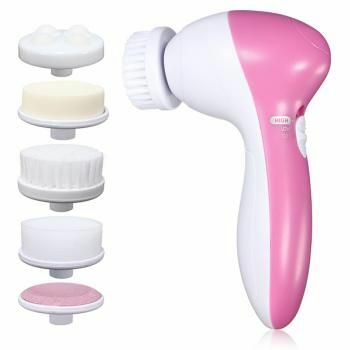 This electronic facial cleanser handheld device comes with five attachments to serve all your beauty and comfort needs. This stylish, pink and white multifunction cleaning tool is a lightweight all-around beauty accessory.